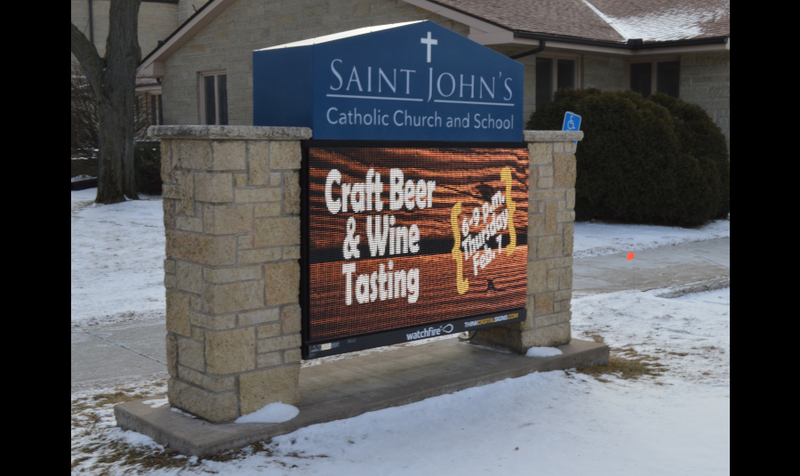 St John the Evangelist Catholic Church and School wanted a new ground sign that could more actively engage their community. The church started with a stone monument donated by a church member. They wanted any new sign designed so that it would fit into the existing stone monument. 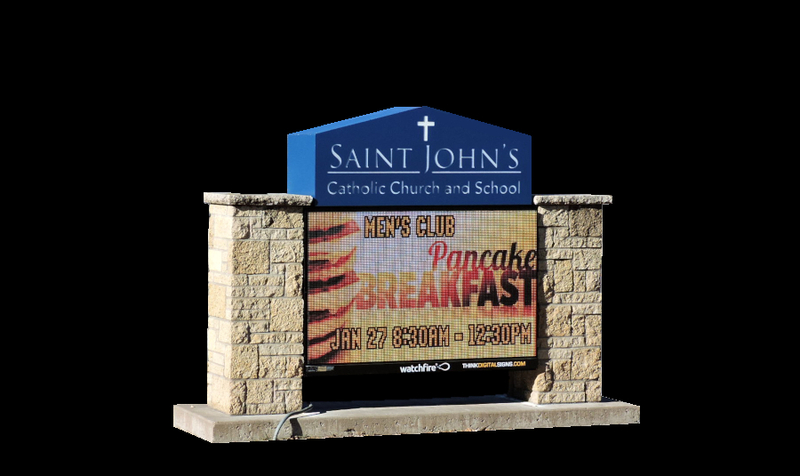 Think Digital Signs designed an attractive new EMC (Electronic Message Center) that maximized the amount of dynamic signage that could fit into the space between the existing stone columns. The new sign is also close to car and walking traffic. 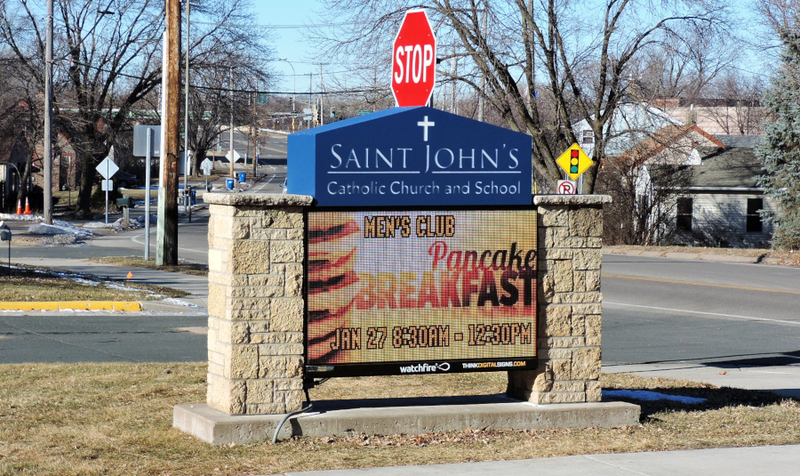 St Johns decided to upgrade to the highest resolution message center available at the time – an 8mm 4×5 sign. St Johns is our first 8mm pitch (pixel spacing, or resolution) installation. The clarity of the photo messages and text have exceeded the church’s expectations. 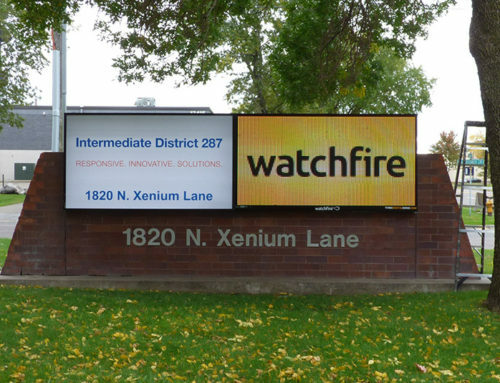 We expedited the manufacturing process in order to get the sign installed in early January-2019. St Johns was able to highlight their school during Catholic Schools Week.